I’ve still been basking in the glow of a Lombardi trophy so I apologize for not getting this out sooner. I figured that it didn’t make sense to post these until the Ravens season had concluded. Each writer will get his due here so I’ll put all choices up. Please feel free to add your own in the comments section. 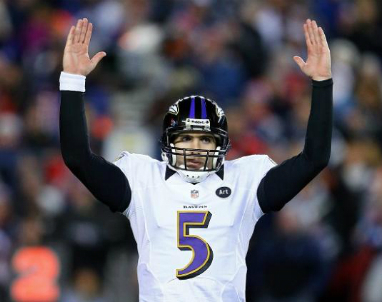 Offensive MVP: Joe Flacco. This year Joe was expected to take the next step in the journey to the promised land. He did everything that was expected of him. Defensive MVP: Ray Lewis. Ray Lewis brought the defense together with his leadership on and off the field. The final moment of his career was a goal line stand leading to his 2nd SB ring. 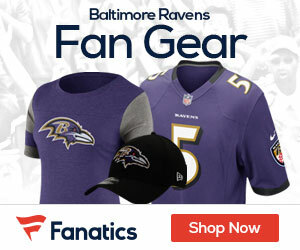 Special Teams MVP: Justin Tucker turned into a excellent replacement for Billy Cundiff. He could always be counted on to get the job finished. Rookie of the Year: Bernard Pierce. He played in every game during the regular and post season. He never fumbled while carrying the ball almost 150 times for nearly 5 yards per carry. Unsung Hero: Marshall Yanda. He is a very dependable interior lineman. He displays a healthy amount of athleticism consistently beating quality defenders. Most Improved: Paul Kruger. He came to life midway through the season demonstrating his outstanding speed and pass rushing ability. Biggest Disappointment: Terrance Cody. He certainly has not been the run-stuffer he was expected to be when he arrived in Baltimore. Flacco is deserving, yet he got hot late in the year and in the playoffs. Boldin was a player who took over games this year in the regular season, playoffs and Super Bowl. Pollard laid some big hits this year and he made opposing teams fear going over the middle. 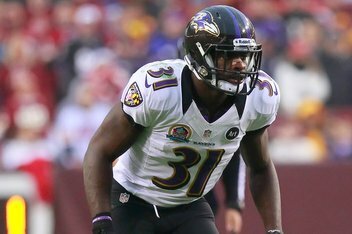 When Ray Lewis was out, Pollard set the tone for this defense. Special Teams MVP: Ties goes to rookie K Justin Tucker and KR Jacoby Jones. You can easily give this award to rookie RB Bernard Peirce, but it starts up front. KO moved from right tackle to left guard without a hitch. He was fantastic down the stretch in some huge games. Talk about stepping up, Graham came up big time after corner Webb went down with an injury. Biggest Disappointment: DT Terrence Cody. The Ravens nose tackle had a consistent season last year, but he found himself on the bench way too much this year. He can improve and should be motivated this off-season. Ray Rice. All due respect to Joe Flacco, but without Ray Rice, this season goes nowhere fast. As fans we tend to have short memories, but none of us should forget the struggles Joe had at times this season, and the many instances Ray bailed him out. Terrell Suggs. He was only active for about half the season, but his presence in the defense helped a floundering unit find its feet and regroup. He may not have had the biggest impact, or played the best, but he was certainly the most valuable. Jacoby Jones. Tucker was great but Jacoby Jones consistently put his team in position to succeed. That’s all you can ever ask for. Justin Tucker. Coming into this season, Tucker had the weight of the fanbase upon his shoulders. He not only rose to the occasion, but he thrived under the pressure. Matt Birk. Birk’s play was dependable and solid throughout the entire season. He really rebounded from the struggles of 2011 and showed what a good center can do for this offensive line. Paul Kruger. He elevated his play during the last quarter of the season and forced himself into the national spotlight, and likely, a lucrative contract. Tie: Terrence Cody and Jimmy Smith. Both have failed to live up to expectations early in their careers as Ravens. If Flacco doesn’t emerge in the playoffs the Ravens don’t win the Super Bowl but if Ray Rice doesn’t convert on 4th and 29 in San Diego then maybe Baltimore doesn’t even make it to the second season. I’m sure the Ravens hope that Flacco will show more of his playoff self during the regular seasons to come. This unit was beset with injuries all season long and seemed to have lost the swagger of past groups. Don’t blame any of that on Pollard who was thumper from th eback line that led the team in Tackles with 98. The speedster was always a threat to take one to the endzone. A fantastic season for the Texas grad. I think the Ravens have found their kicker for many years to come. When he didn’t play the offensive line performed on a different level and that’s not a good thing. It took him longer than people expected but he’s going to bank a huge contract in another city in 2013. Mount Cody has turned into a molehill.